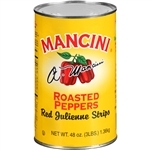 Our peppers from top suppliers like Bay Valley, Rosarita, Conagra, and MEgamex round out our mix of restaurant supply foods for cooking in commercial kitchens and cafeterias. We carry the best peppers including banana peppers, jalapeno peppers, yellow peppers, chipotle peppers, cherry peppers and tomatillos. Spice up your restaurant dishes today with these healthy vegetables that will add healthy antioxidants to your meals as well. Perfect for Mexican restaurants and other food establishments making burritos, quesadillas, and tacos. 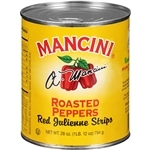 Mancini Fried Peppers with Sweet Onion 28 oz. Megamex Embasa Chipotle Peppers - 12 Oz. 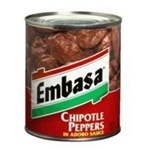 Megamex Embasa Chipotle Peppers In Adobo Sauce - 26 Oz. Megamex Embasa Chipotle Peppers Adobo Sauce In a Can - 7 Oz. Vlasic Banana Pepper Ring Mild - 12 fl.oz. 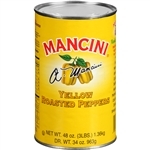 Top Banana Pepper Rings - 1.56 Lb. Buy Peppers for your restaurant cooking perfection in any Mexican or Spanish food establishment. Jalapeño peppers have been proven to have great health benefits.